Losing weight sometimes takes experimentation. If you give a diet your best shot and it doesn't work long term, maybe it wasn't the right one for you, your metabolism, or your situation. Genes, family, your environment — even your friends — influence how, why, what, and how much you eat, so don't get too discouraged or beat yourself up because a diet that "worked for everybody" didn't pay off for you. Try another, keeping in mind that almost any diet will help you shed pounds — at least for a short time. Here's a look at three common diet approaches. Since fat contains nine calories per gram while carbohydrates contain four, you could theoretically eat more without taking in more calories by cutting back on fatty foods and eating more that are full of carbohydrates, especially water-rich fruits and vegetables. Still, such a diet tends to be less filling and flavorful than other diets, which lessens its long-term appeal. And if the carbs you eat in place of fat are highly processed and rapidly digested, you may be sabotaging your weight-loss plan. To make up for the lack of carbohydrates in the diet, the body mobilizes its own carbohydrate stores from liver and muscle tissue. In the process, the body also mobilizes water, meaning that the pounds shed are water weight. The result is rapid weight loss, but after a few months, weight loss tends to slow and reverse, just as happens with other diets. The American Heart Association cautions people against following the Atkins diet because it is too high in saturated fat and protein, which can be hard on the heart, kidneys, and bones. The lack of carb-rich fruits and vegetables is also worrisome, because eating these foods tends to lower the risk of stroke, dementia, and certain cancers. Most experts believe that the South Beach and other less restrictive low-carbohydrate diets offer a more reasonable approach. Good fats are the monounsaturated fats found in olive oil and other oils, and the polyunsaturated fats found in fish, canola oil, walnuts, and other foods. (Saturated fat and trans fat are the bad guys.) Mediterranean diets tend to have a moderate amount of fat, but most of it comes from healthy fats. The carbohydrates in Mediterranean-style diets tend to come from unrefined, fiber-rich sources like whole wheat and beans. These diets are also rich in fruits and vegetables, nuts, seeds, and fish, with only modest amounts of meat and cheese. People living in Mediterranean countries have a lower-than-expected rate of heart disease. But the traditional lifestyle in the region also includes lots of physical activity, regular meal patterns, wine, and good social support. It's hard to know what relative role these different factors play — but there is growing evidence that, in and of itself, the diet can reduce cardiovascular risk and the development of diabetes. A good diet should provide plenty of choices, relatively few restrictions, and no long grocery lists of sometimes expensive special foods. It should be as good for your heart, bones, brain, and colon as it is for your waistline. And it should be something you can sustain for years. 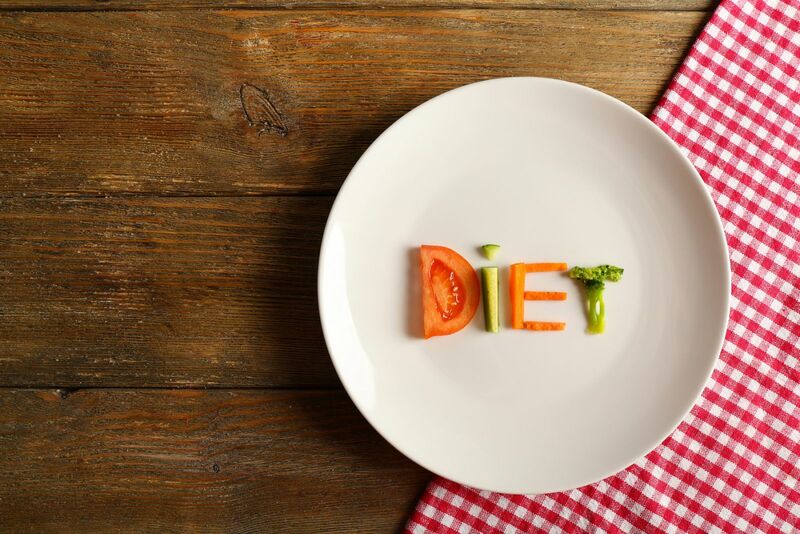 Such a diet won't give you a quick fix. But they can offer you something better — a lifetime of savory, healthy choices that will be good for all of you, not just parts of you. For more practical tips to help you lose or maintain weight, buy Healthy Solutions to Lose Weight and Keep it Off, a Special Health Report from Harvard Medical School.